It’s easy for a manufacturer to claim it’s the best. But how many can actually prove it? The Haartz Corporation has done exactly that, putting its convertible topping and other soft trim products through a series of rigorous quality-assurance tests. 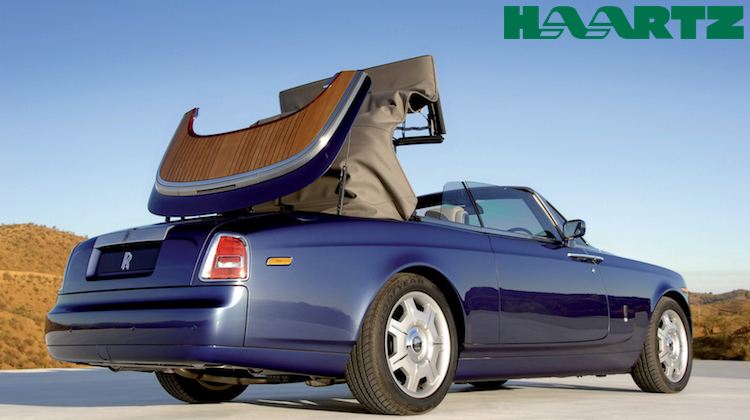 That’s not all, Haartz pitted its topping against low-cost competitors to highlight the difference. The results demonstrate Haartz’s superior quality and illustrate why nearly every automaker chooses Haartz topping over others. The durability of the exterior fabric is critical to product performance. 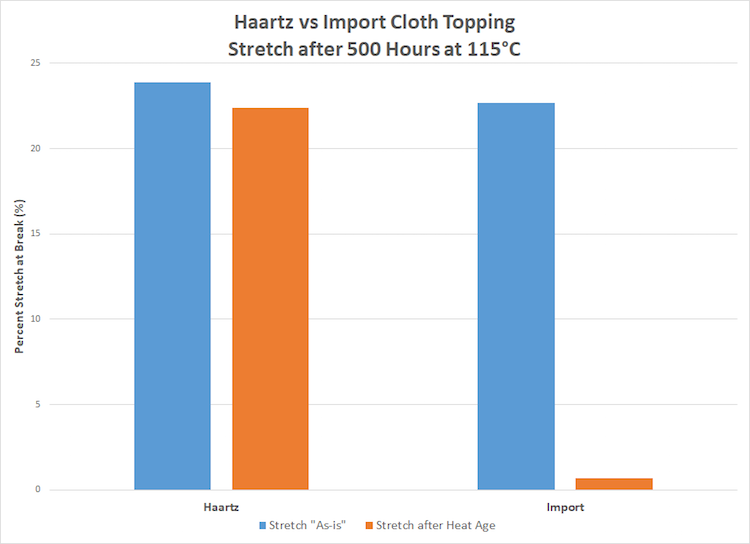 In this video, Haartz rubs the surface of the material after heat aging to show how the fiber used in the competitive fabric has degraded. The durability of not only the fabric, but also the inner layer film is critical to field performance. In this video, Haartz shows how the inner layer of the competitive material has become brittle and cracks after heat aging. 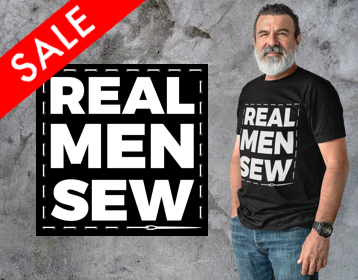 This will lead to premature tearing of the fabric along with a leaky top. 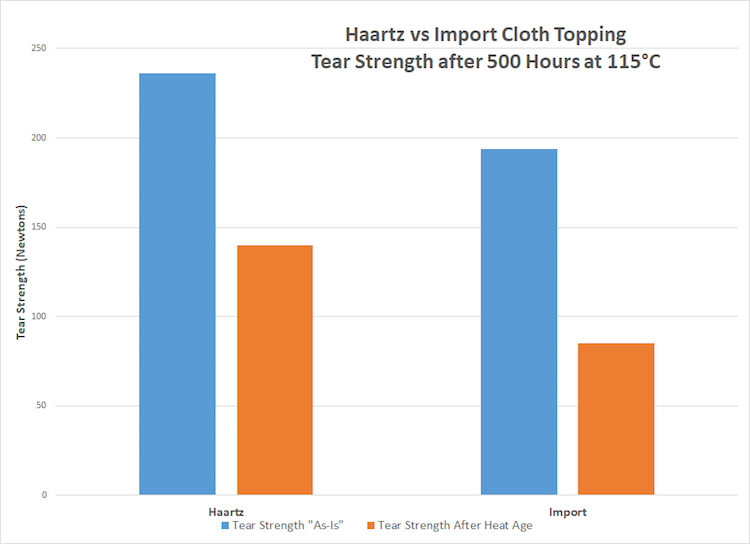 In this video, Haartz shows how the competitive material will leak water after accelerated aging due to degradation of the inner layer between the two fabrics. This layer is supposed to be the primary waterproof layer between the outside world and the cabin. Haartz heated its material and competitive material to 115˚ C. After 500 hours, Haartz material still maintained its tensile strength over the competitor. Haartz heated its material and competitive material to 115˚ C. After 500 hours, Haartz material still maintained its stretch advantage over the competitor. 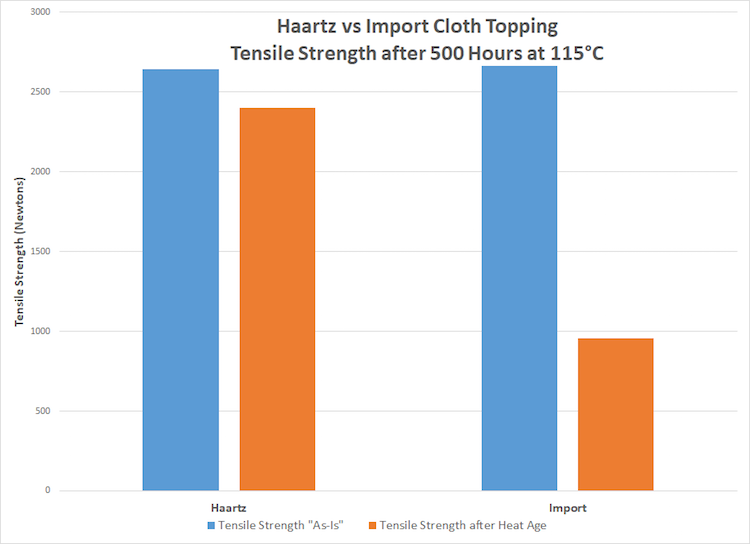 Haartz heated its material and competitive material to 115˚ C. After 500 hours, Haartz material still maintained its tear strength advantage over the competitor. Of course, Haartz’s premier aftermarket topping Forté features all of these class-leading attributes. Haartz produces the PVC material with a 100% solution-dyed polyester backing, which is stronger than competitors’ cotton-backed toppings. Watch this video to see how it’s manufactured. These tests are part of Haartz’s “Discover the Difference” campaign, which aims to educate top manufacturers, distributors, trimmers and car owners about the importance of buying and installing tops made from OEM-quality materials. This is more important than ever, given the amount of low-cost tops flooding the aftermarket. These subpar tops are impacting our shops by decreasing our sales, disrupting our workflow and – when the products ultimately fail – damaging our reputations. Haartz has more than 100 years of experience manufacturing top materials for automakers and trim shops and asks consumers to be wary of cheap imported tops being sold online. For us, the choice is obvious: Haartz all the way. Share this article with your followers on social media to help us counter the growing trend of low-quality convertible tops. To learn more about The Haartz Corporation, visit Haartz.com. You can also follow Haartz on Facebook, Instagram and Twitter.